Welcome, readers, to July’s issue of Synchronized Chaos Magazine. This time we’re looking at Perspective. How we see a single creature within the rest of the environment, or exploring common themes from different angles. Returning poet Dave Douglas points out that Western society’s modern focus on individualism is not a constant or usual part of our human history. The concept of individual identity, self expression, value, empowerment and purchasing power, which we now see reinforced through our cultural media and marketing messages, is an artifact of particular times and places and comes with advantages and disadvantages. Douglas critiques the shallow consumerism that he sees as coming out of a culture where people assert their identity through buying the latest personal electronics products. Returning essayist Donal Mahoney advises young writers that not all have to emulate famous authors such as Charles Bukowski, who made a name for himself as much from his outsized personality and rebellious behavior as from his writing. One can become distinguished as a writer by mastering one’s craft while remaining oneself. He also encourages writers to take rejection in stride, rather than as a personal affront. Peter Jacob Streitz, another returning poet, offers up a set of pieces grappling with individual and cultural loss, change and evolution. Whether it’s the decimation of Native culture, widowhood, or our own mortality, our world is full of destruction, and not even our best efforts and prayers can always protect us. Poet Natalie Crick also contributes a set of short pieces evoking natural and supernatural images of death and decay. Yet, her subjects have aesthetic grace even in their deterioration, which comes through in lyrical terms. In her monthly Book Periscope column, Elizabeth Hughes reviews Courtney Killian’s Days of the Kill. This suspense novel centers on a young protagonist who tries and fails to escape the effects of her family’s mental dysfunction. Next, Hughes hones in on the intergenerational wisdom present in Richard Slota’s upcoming novel Stray Son, a tale of fatherhood, manhood, and war. Returning contributor Jeff Rasley’s new book Hero’s Journey explores the psychology and cost of setting up real people as heroes. In his excerpt, he reminisces about a boyhood friend whose real life started out similar to that of their shared fictional sports hero, Chip Hilton. 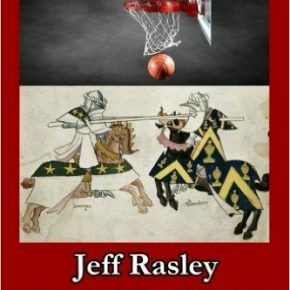 When reality intervened, and his friend proved imperfect, Rasley began a thoughtful exploration of the meaning of bravery and honor, not just in sports but in different realms of life. 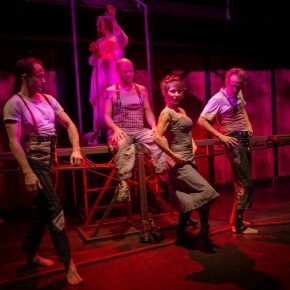 Returning contributor Christopher Bernard reviews San Francisco’s FoolsFury theater festival, discussing various attempts at rendering disparate content through physical performance. Existential literature transmutes into circus acts, the suffering of refugees comes through onstage through faux lectures at an imaginary border, and Japanese folktales take shape as large ensemble casts teeter between realism and fancy. 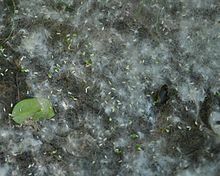 Finally, returning poet Joan Beebe contributes an innocent and slightly whimsical poem about cottonwood seeds. Still, she’s got a unique perspective here: she’s not praising the seeds’ beauty, she’s cursing them for getting stuck in her window screens and blocking her view of nature. Here’s hoping everyone enjoys this issue. 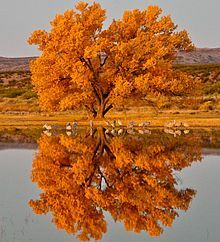 More on the cottonwood tree here. This year’s FURY Factory Festival of Ensemble and Devised Theater shook up the stages in San Francisco’s SoMa recently. Some of the performances were thrilling, and all were worth a visit. 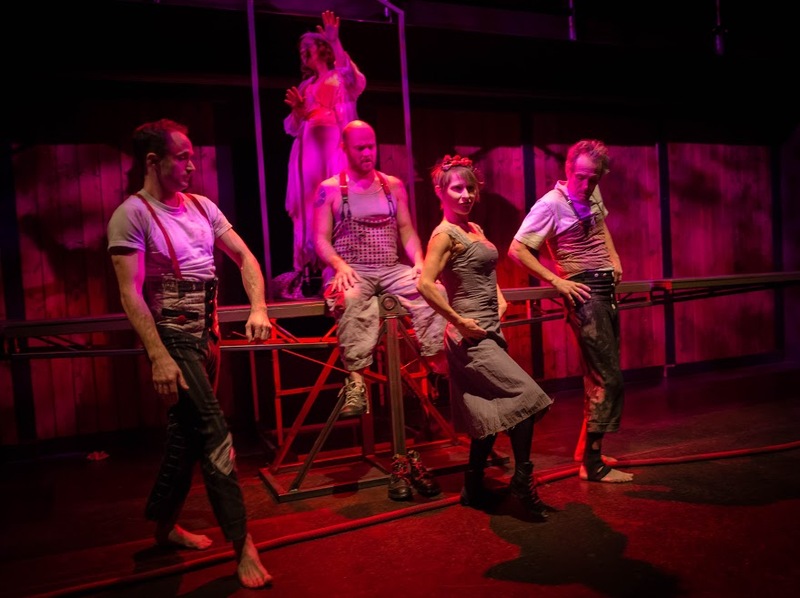 Not least was Seattle’s UMO Ensemble, at the Joe Goode Annex for three performances of “Fail Better: Beckett Moves UMO,” a mind-bending event of pure theater, funny and dark and sharp, based on the writings of the Irish writer. This was physical theater at its most intriguing, turning the dense existential tropes of the great, bleak modernist into brilliantly apropos circus acts – complete with rope-climbing, dancing, wrestling, acrobatics, plus a bit of chocolate tasting (not shared with the audience, unfairly) and prancing about on a teeter-totter – with a sprinkling of brilliant writing on top. Actually, the brilliant writing was the foundation (which is, no doubt, what distinguishes theater from, say, dance or music or the circus, or, for that matter, a restaurant). What UMO has done here is included most of the elements of live performance (the only ones missing were live music and edibles for the audience), compacted, condensed, sorted and refined to mordant essences. The show begins with an appropriately Beckettian tableau: a Godot-esque couple of tramps and a Happy Day-esque couple straddle a great, ungainly teeter-totter athwart a light-bathed stage, behind which a grand dame in a scruffy garden-party gown and hat, all of which have both seen better days, officiates from inside a small, chapel-like niche. A spare, almost fleshless gentleman in whites steps forward and, between shy smiles, offers a brief passage from Beckett’s seminal novel The Unnameable, then retreats to an Apple laptop at the back and starts tapping away, threading (apparently) out of his entrails (one of the characters complains at one point, “Are these our words – or his?”) the comedy of bittersweet nothings we are about to be entertained by. 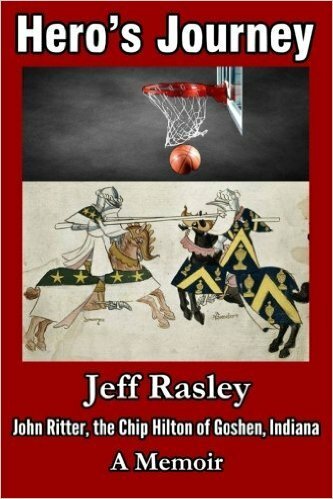 Jeff Rasley’s Hero’s Journey is available here. Chip Hilton was perfect – at least in the mind of this boy growing up in a small town in Indiana before the Beatles were big. He was tall, rangy, with blue-grey eyes and short-cropped blond hair. Chip’s square jaw was always clean shaven. A lock of hair would drift down his forehead and need to be brushed back while he was playing ball. Chip was shy around girls but popular at school with the guys. He was the star player on his high school football, basketball, and baseball teams. Chip was doted on by his hardworking, graceful and lovely mother, Mary Hilton. She always had homemade cookies ready when the guys came over after team practice. Chip’s dad, a factory foreman, died in an industrial accident saving the life of one of his crew members. Chip suffered stoically the aching loss of his father. The Hiltons were not well off, but managed. Mary worked at the factory as a secretary. Chip had to work part-time as a stock boy at the local drugstore to help with family finances. It steals from me so I am left with nothing. I have taken the pill to kill. The ocean. I want, I want. I have lost myself. But that is not enough. And the wind can carry them far before they fall. Because a new season begins and will right this wrong. The time for those seeds has ended. And am grateful that nature finally stepped in. It’s nothing to do . . .
. . . like plunging through . . .
and crossbones . . .
with bongs, bangs . . .